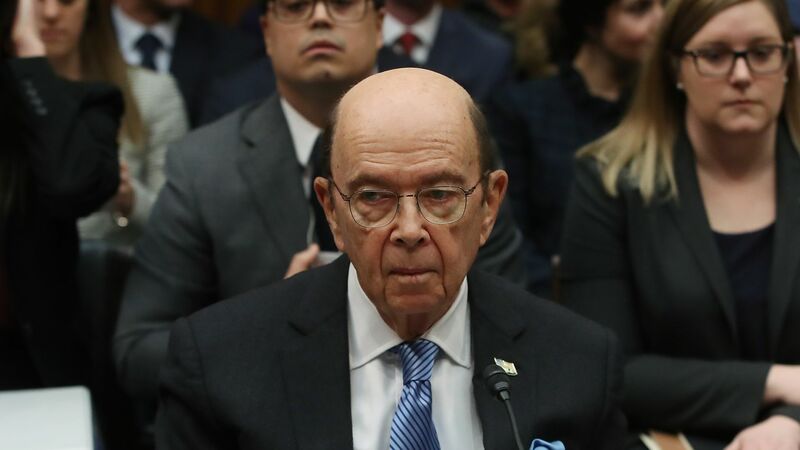 The House Oversight Committee passed a vote 23-14 Tuesday to subpoena Commerce Secretary Wilbur Ross for records related to the administration's decision to add a citizenship question to the 2020 Census, which critics say would lead to massive undercounts in heavily Democratic states with large immigrant communities. Why it matters: With less than a year left until the 2020 Census population count, chairman Elijah Cummings said the Trump administration's "stonewalling" has left the committee no choice but "to obtain this information by compulsory process." The committee also authorized subpoenas for Principal Deputy Assistant Attorney General John Gore to testify and Attorney General William Barr to provide records related to the investigation. The big picture: Ross testified before the House Oversight Committee in March, where he told lawmakers that he acted solely at the request of the Justice Department to enhance the Voting Rights Act and denied that the citizenship question was intended to influence the allocation of congressional seats across the country. His testimony came after 2 federal judges blocked his move to add the question, ruling it lacks a factual basis for necessity and would unconstitutionally suppress responses from non-citizens. The Supreme Court is set to hold a hearing this month — with a ruling expected by June — on the consequential blockbuster case that would inform and shape public policy for the next decade. "The Department remains committed to an open and responsive relationship with the Committee and has been nothing but cooperative with the Committee’s expansive and detailed requests for records,” said Secretary of Commerce Wilbur Ross. “As of today, we have turned over 11,500 pages of documents to the Committee, and I voluntarily testified in front of the same Committee for nearly seven hours on this issue two weeks ago."